Includes fencing rosters for all 46 colleges with detailed information on every fencer’s position on the Junior National Points List, and classification rating during the crucial recruitment period. Includes average GPA, test score ranges, annual costs and financial aid for all 46 colleges. How Do Ivy League Colleges Use the Academic Index in the Athlete Recruitment of Fencers? Who Goes to NACs and Pays the Fees 2017 - 2019? Can fencing help me get into college? At what age can my child start fencing, and which weapon should we pick? Should a 10 year old compete in a cadet fencing event? What does respecting your opponent in a fencing bout really mean? When do we get that 1st FIE fencing weapon? What's a good fencing shoe? Should I care about my fencing club's medal ranking? How Much Did It Cost US Fencing to Send 21 Representatives to the Junior and Cadet World Championships 2019? 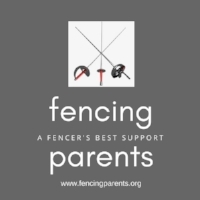 Why should parents care about who is on the US Fencing Board of Directors?